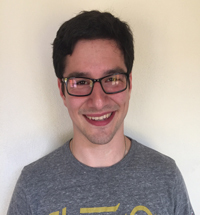 David is a current JD/PhD student in Law, Psychology, and Human Development. David’s research interests lie in cognitive psychology and neuroscience, with his main interest being in the perception of risks in sports, as well as the effects of mild traumatic brain injury. Additionally, he does research on memory and the judgment of probabilities and is interested in constructing accurate models of both in order to predict the effects of aging and neurodegenerative diseases. At Cornell, he leads the Health and Medical Decision-Making team in Dr. Valerie Reyna's Lab for Rational Decision Making.